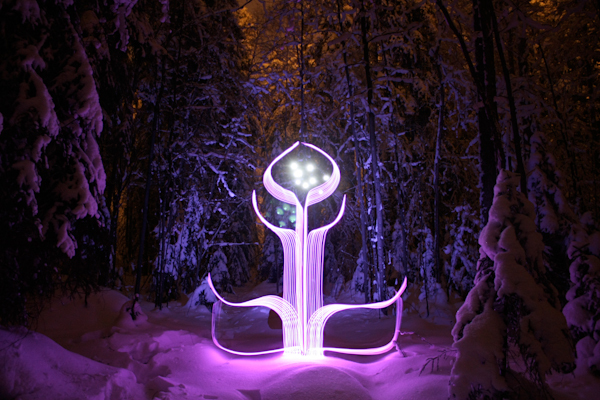 Light painting artist Hannu Huhtamo has been light painting since 2008 but it was back in the 1990’s when he shot his first light painting image. 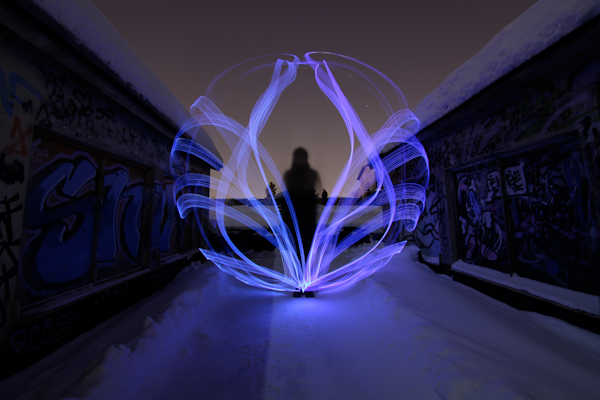 Hannu was shooting a death metal band and wanted to draw out a pentagram with a lighter so he opened the shutter of his camera and created his first light painting image. 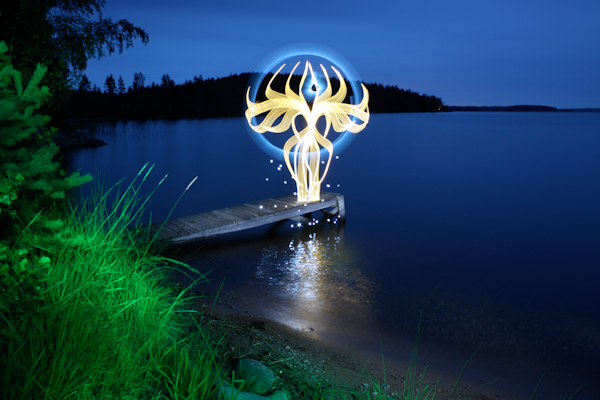 After that Hannu moved away from shooting any other light painting images until LPP featured artist Janne Parviainen showed him some of his images, from that moment on Hannu was hooked on light painting. Hannu’s work focuses on organic forms, more specifically he draws some amazingly beautiful flowers. Hannu hates the dreaded word photo$#@% and is a firm believer that all light painting images should be SOOC, (straight out of camera). 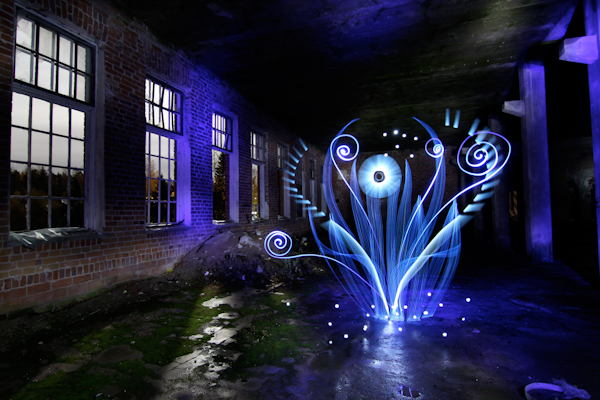 Read Hannu’s full light painting photography interview and check out some of his images below. For even more images and information check out his website www.hannuhuhtamo.com. Are you a soloist or are you part of a Light Painting group? If a group who is in your group? I’m a solo artist, but sometimes I collaborate with another LP artist, Janne Parviainen a.k.a Jannepaint. Together with him we also co-operate with Lighting Designer Jukka Laine in his project “Valopaja” (=Light workshop). What education do you have? I graduated from Pop & Jazz Conservatory in 2006. 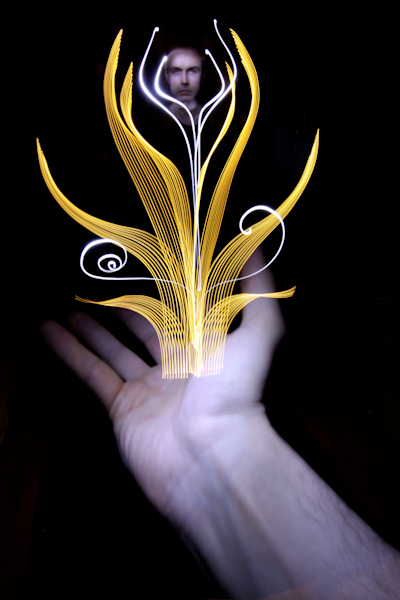 How did you discover Light Painting Photography? Well, my first light drawing experience leads back to early 90’s when we wanted to use long exposure in our bands promo pics. It was a Death metal band and of course I had to draw a pentagram with a lighter 🙂 But when Jannepaint showed me some of his new experiments with long exposure, I was hooked immediately. It was something magical and totally mind blowing for me. Major kickstart was Flickr’s light painting groups. That’s how I discovered the new generation of talented light painters, like TCB, if I name one. 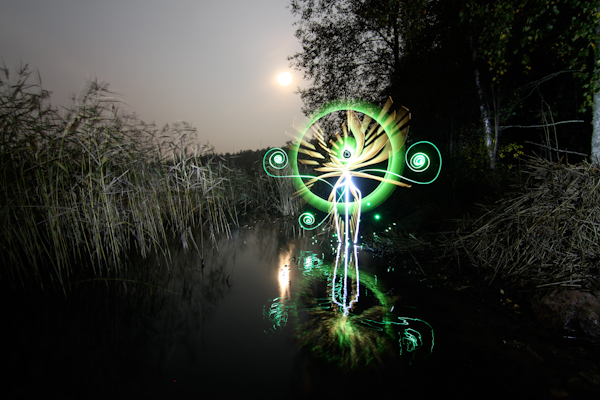 What was your first Light Painting Image? First one with a proper idea must be a picture called “Towards light”, If that previous pic from the 90’s isn’t counted. Film or Digital? For me it’s digital, just because it eases things quite a lot. Do you believe in aliens? Yes of course. It’s a little bit narrow-minded to think that we ‘re all alone in this universe. What is your standard Light Painting Photography setup? Nice spot combined to my light flowers or luminous beings. A lot of contrast between the subject and the surroundings. What is your favorite color? It’s hard to pick only one, it depends on a situation. Well, it might be blue. 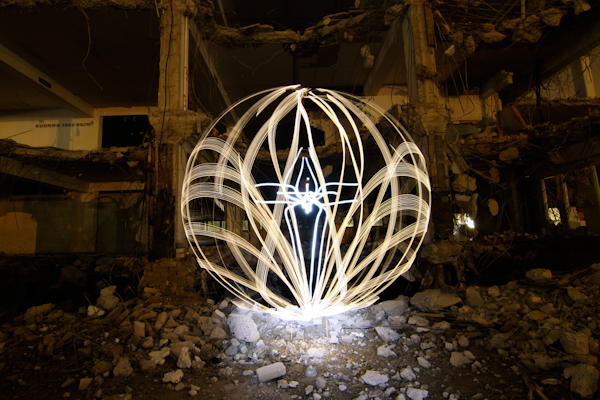 Who influences your Light Painting Photography work? 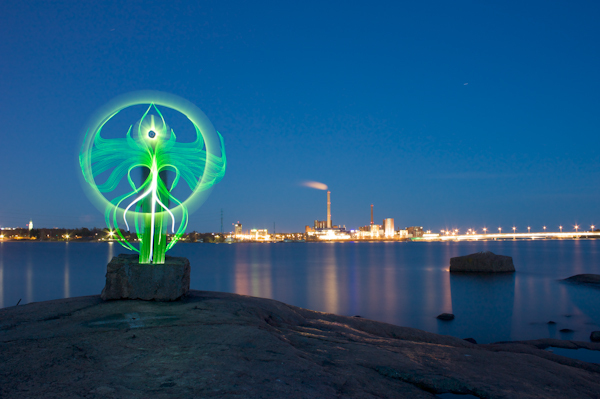 It’s almost everything I see, different forms everywhere, nature, dreams….other light painting artists of course. There is always something new to be discovered. 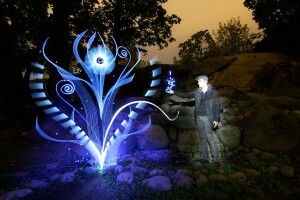 Who is your favorite Light Painting Artist? One with unique style and ability to renew his work without losing his own magical touch. If I have to name one, it would be TCB. He’s always inspirational and original. Of course, names like Eric Staller and Patrick Rochon are in top positions in my list. What is your favorite food? There is no specific, but I have to say that my wife Sanna makes tasty vegetarian/cross kitchen -style food. 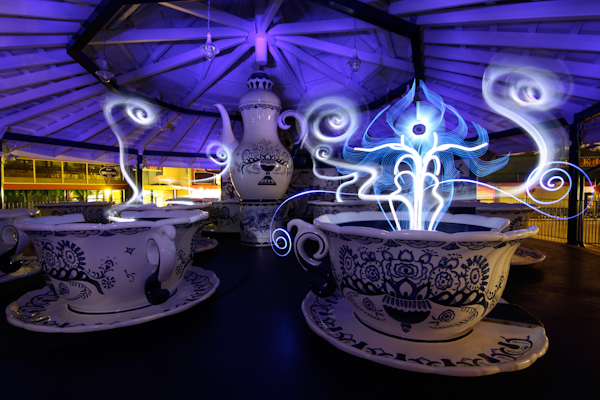 Do you create in any other mediums other than light painting? If so what are they? Potrait photography is always inspiring. I work also as a freelance musician. 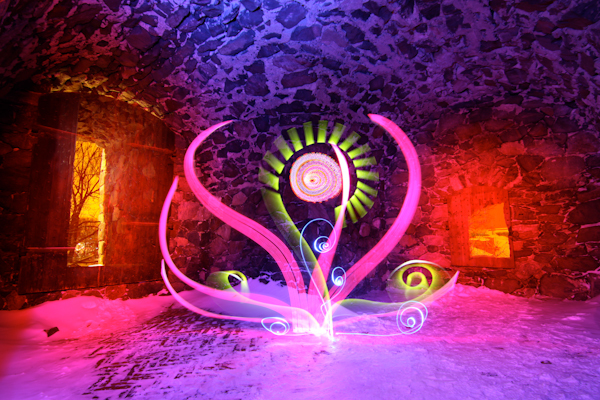 What is your favorite Light Painting Photography image that you have created? At the moment it’s a picture called “Farmer’s special” In this picture there is a farmer who grows magical light plants in the basement of his house. It was fun to do it! 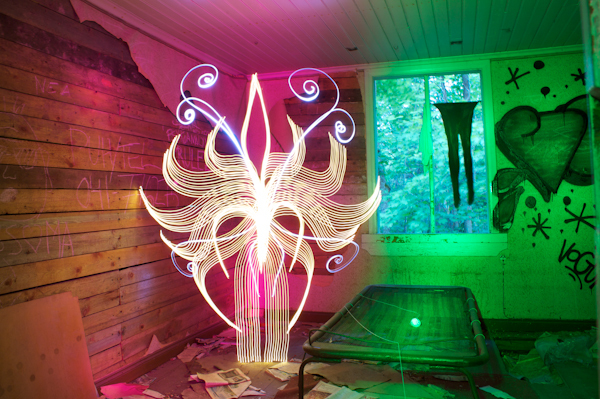 What is your favorite Light Painting Photography image of another artist? I can’t name only a single one, there are so many. 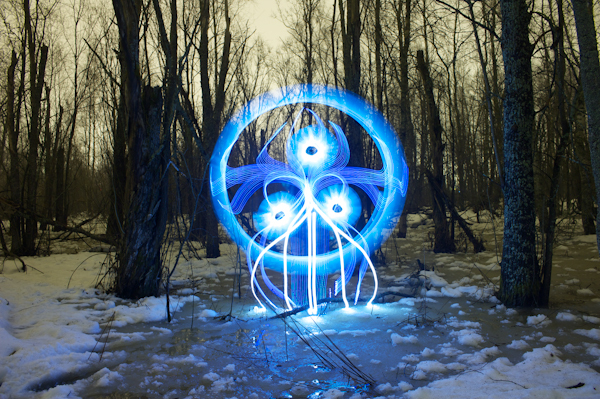 What is the most difficult part of Light Painting Photography? Sometimes it’s the bright ambience light, but extreme weather conditions like breezing wind and frost are also lovely. 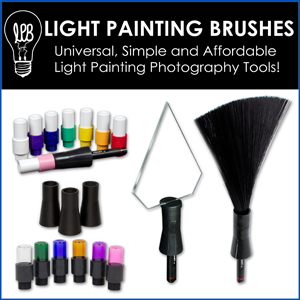 Do you sell your Light Painting Photography work? Sometimes, but it’s quite hard these days. There is so much pictures in the internet and other medias that you really have to elbow your way out. Are you represented by a gallery? At the moment there isn’t any specific gallery. Who is your favorite artist? I recently found composer Steve Reich’s work. What is you favorite activity other than light painting? Music and spending time with my family. Tell me a good light painting story. 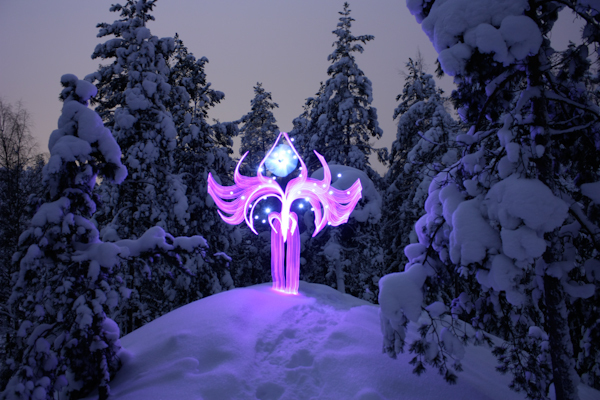 About half an year ago there was a festival called “Season of light” in Helsinki. Me and Jannepaint were hired to take light painting potraits for people. There was this lovely couple from Japan spending their holiday in Finland. They somehow had found our websites and especially wanted to see us in action. It was nice to see how excited they were about our work! Tell me a nightmare light painting story. Once I broke my V24, lost three flashlights and managed to scratch my lens (I know, after that I bought a protection filter). All this during one photo-session. 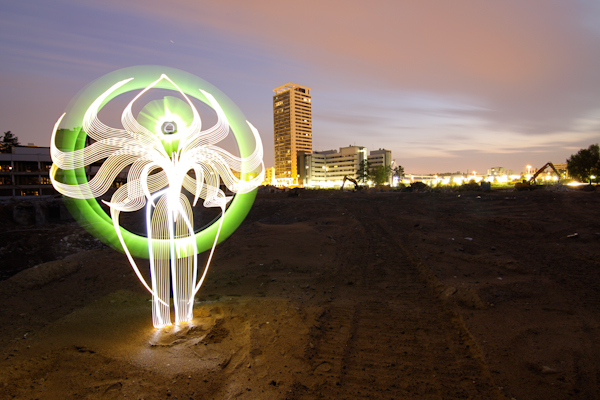 Have you ever been arrested or ticketed for light painting? No, I’m silent and fast. What do you say to people when they see you light painting and they ask “what the hell are you doing”? I try to give a brief introduction to light painting photography, but usually people understand when you just say that you’re a photographer. 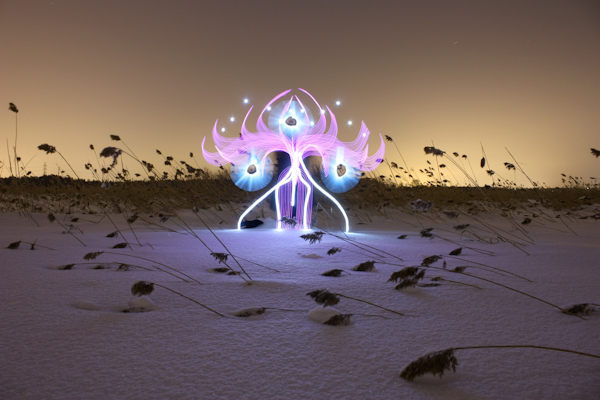 Where do you find inspiration for your Light Painting Photography? Mainly the different forms in nature inspire me the most, but sometimes it might be a movie or a song. Who would you like to punch? Myself, when I notice selfish or greedy behaviour. Who would you like to kiss? My wife. Why do you Light Paint? I just can’t get enough of it. It’s like magic and I feel like a child in a wonderland while I’m doing it. There’s infinite possibilities and so many techniques to be mastered. What is your favorite subject to shoot? Abandoned buildings are always interesting, but also finnish forests offer a magical environment to be explored. Where is your favorite place to shoot? A big outdoor recreation area called Luukki in Espoo. It’s a peaceful place at night and it has many beautiful spots. 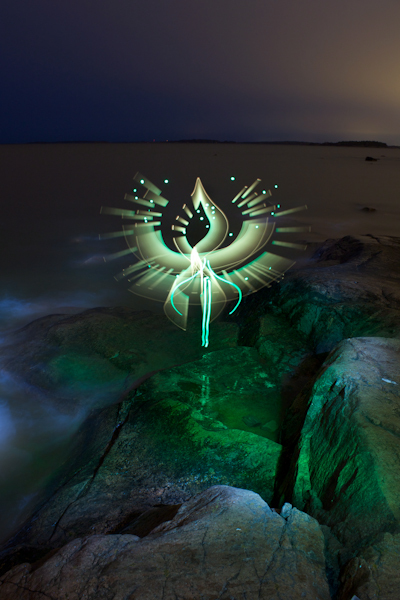 If you could travel anywhere to Light Paint where would you go? Amazon and Andes in Peru. 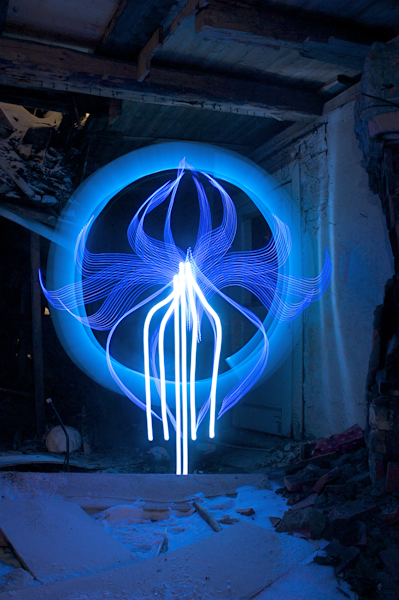 Have you ever invented a Light Painting Photography tool? If so what was it and how did it work? Not exactly invented, but I’ve modified things suitable for my needs. I try too keep my lights simple, because I’m not that good with electronics. You can use almost anything for light painting, sometimes I use plastic shopping bags with LED-flashlights. Do you ever get sick of explaining your work to people? No, it’s always nice if someone’s interested. I try to give a brief explanation about it. How many times have you heard the word photoshop when someone was describing or asking about your work? Don’t say the P-word, it’s forbidden ☺. For light painting it’s not suitable, because everything should be straight out of the camera. What makes you happy? When hard work produces great results. What makes you mad? The way we’re treating this planet, that’s really sad. 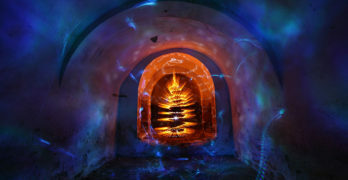 What part of Light Painting Photography do you enjoy the most? I love the whole process of it. What part of Light Painting Photography do you hate the most? Unsuccessful photo-shooting trip, especially when I’ve loaded great expectations for it. 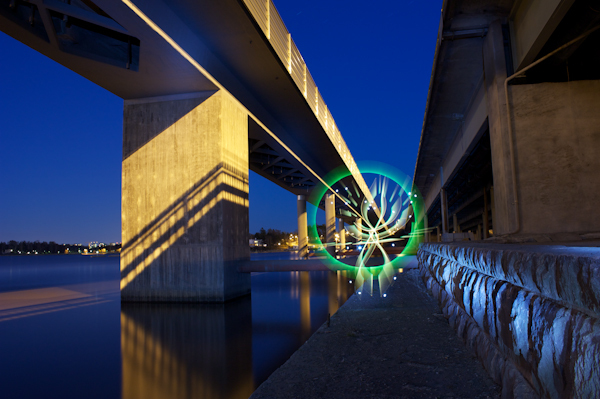 What is Light Painting Photography? It’s based on long exposure times that vary from a few seconds to hours. While the cameras shutter is open you are able to draw in the air by moving different kinds of light sources in front of the camera. 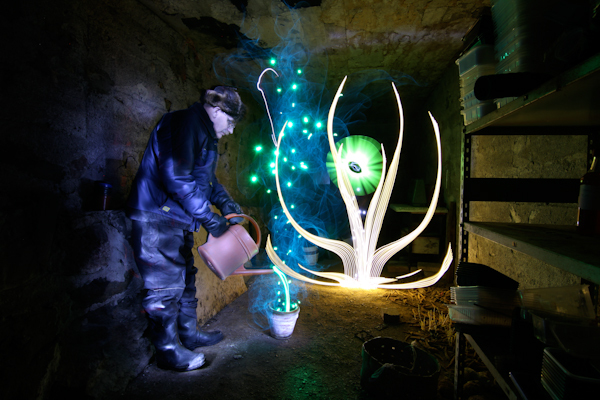 Light painting requires a dark environment and it’s usually made at night. Give me some advice for anyone that might like to try Light Painting Photography. If you’re a beginner you don’t have to have expensive DSLR to try it out. Cheap compact cameras have at least 15 seconds of exposure time, which is not much, but at least something.